Location: This stone lies on the Castaway Vein about 480 metres from John Young Gate, at a bearing of about 40°. 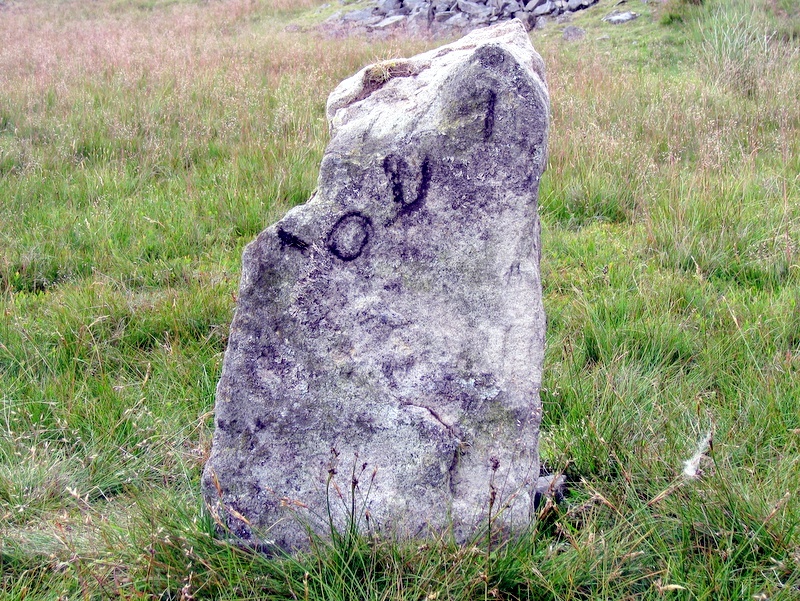 This is a 60 cm high stone, the top left hand corner of which has broken off, so much of the inscription is missing, and the C and the & are speculative. Its position seems to be at the north-east corner of a Bagshaw meer shown the Brailsford 1781 survey, so it could indicate a later holder of one of the leases abutting that corner.